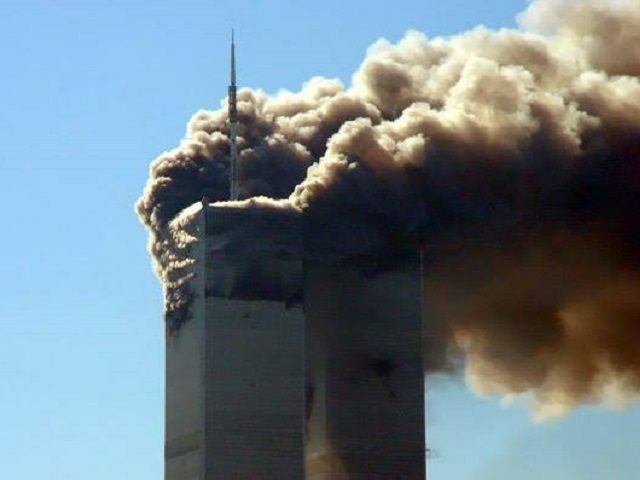 Last month, on September 12, Mohamed Elhassen Mohamed, father of Texas ‘Clock Boy’ Ahmed Mohamed, posted on Facebook a photo of the World Trade Center Twin Towers shrouded in raging smoke in the aftermath of the September 11, 2001 attacks. The photo appeared on his Sudanese National Reform party page on the day after the 9/11 anniversary. Presently, Mohamed tours the Middle East with his clock-making son, but he is also a Sudanese Reform Party activist and the repeatedly failed Sudanese National Reform party candidate for president of that country, although he and his family reside in Irving, a Dallas suburb. Two days after the 9/11 truther post, on Sept. 14, son Ahmed Mohamed was arrested for bringing in the unassigned homemade clock-in-a-box that appeared to be a suitcase timepiece hoax bomb to school district officials and local law enforcement, although charges were dropped. The lengthy propaganda footage also attacks Penn & Teller’s 2005 debunking of 9/11 ‘truther’ conspiracy theories. They list them among news media or television shows that “try to make us look like idiots.” Also, the video blames “US military officials, television executives and some Israeli and British government officials” for the attacks, according to Townhall. It charges that other 9-11 ‘truth seeker groups are part of the conspiracy to withhold information.